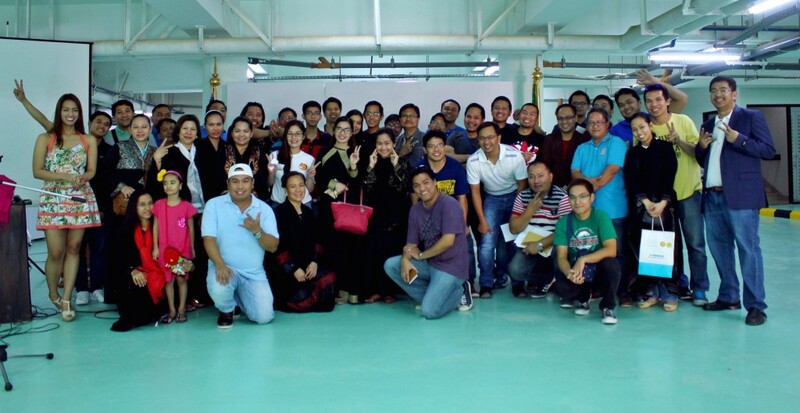 It was indeed a successful event that was attended by more than 50 OFW from Riyadh Saudi Arabia. Thanks to the Philippine Embassy for accommodating such event in coordination with AngNARS Party List. I could say that it is a good start seeing the enthusiasm that we have seen with the attendee. One of the attendee even told me why it is only now and that it should have been made long time ago. We are planning to have the second Financial Literacy Seminar soon. You may enter your details below so that we can send you updates when will be the 2nd Financial Literacy Seminar in Riyadh Saudi Arabia. Loading… Here are some photos that was taken during the event. 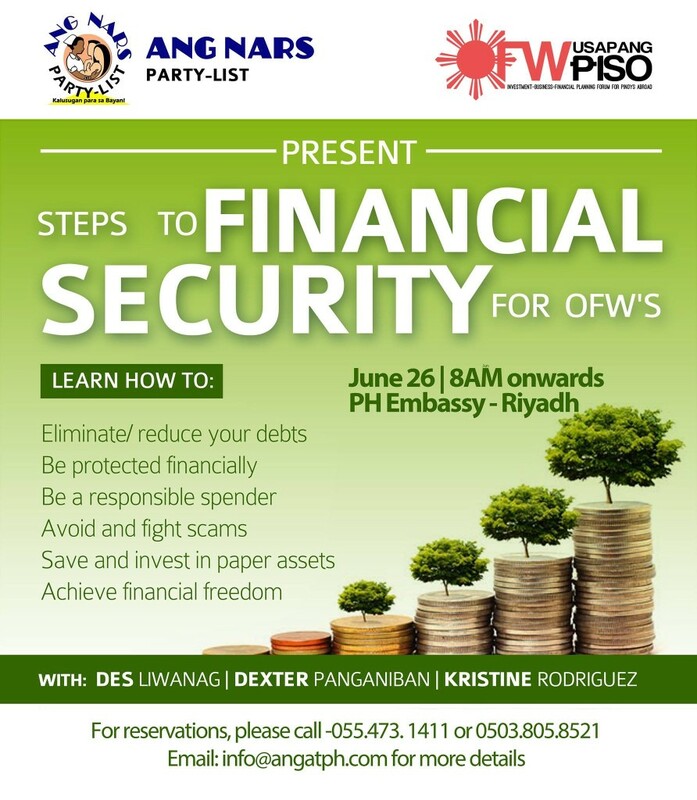 I am excited to share that I will be teaching Financial Literacy at Philippine Embassy in Riyadh Saudi Arabia this coming Friday, June 26, 2015. I am a volunteer of Angat Filipinas Coalition for Financial Literacy with the Mission OFW Usapang Piso (Mission for OFW’s Dependent and Former OFW). I together with 2 other volunteers, Miss Des Liwanag and Miss Kristine Rodriguez will be teaching Steps to Financial Security for OFW. This particular seminar is in coordination with ANG NARS Party list who help to secure time and place at the Philippine Embassy. 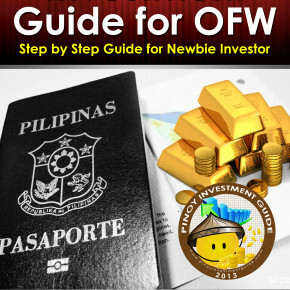 It is our objective to teach fellow OFW on how Eliminate and reduce debts, Be protected financially, Be a responsible spender, avoiding and fighting scams, investing in Paper investments and achieving financial freedom. I am excited since this will be 2nd time teaching financial literacy in Public here in Saud Arabia, at First it was with Engineers during the Annual convention and this time with most of the attendees are Nurses. I have been teaching small groups in private houses here in the Kindom of Saudi Arabia and good to report that there are some spenders that is now turning to savers after learning the objective of Financial Literacy and I hope there will be more OFWm who learn about how to handle their finances. We will be reporting our experience about this event. BTW this event is also through the effort of Burn Guttierez, the Founder of Angat Pilipinas.